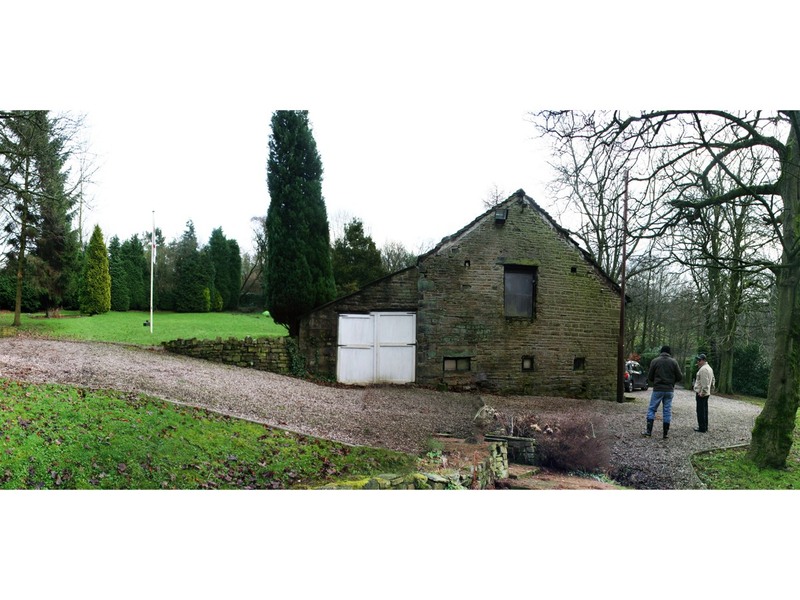 Our client had bought Clough Bottom coach house with planning permission for a four bedroom conversion. 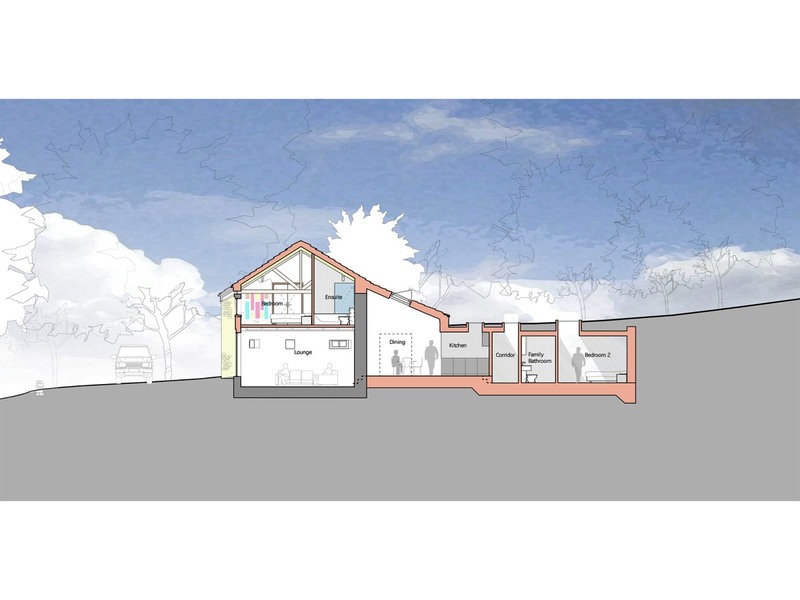 With the clients wanting to keep the original coach house, converting the old building into a liveable space with plenty of room for a family presented an interesting challenge requiring a sensitive and innovative solution. 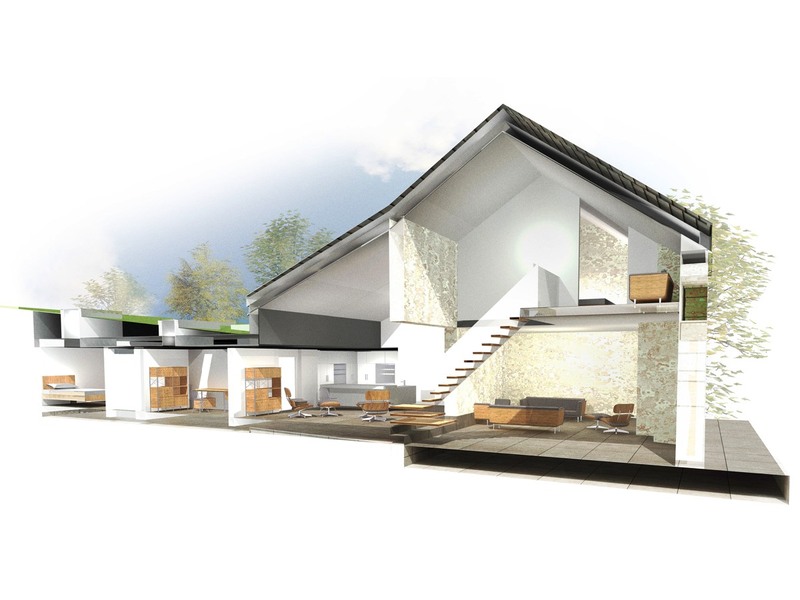 Over a year we worked to develop a larger scheme that would blend in with the natural green belt site. 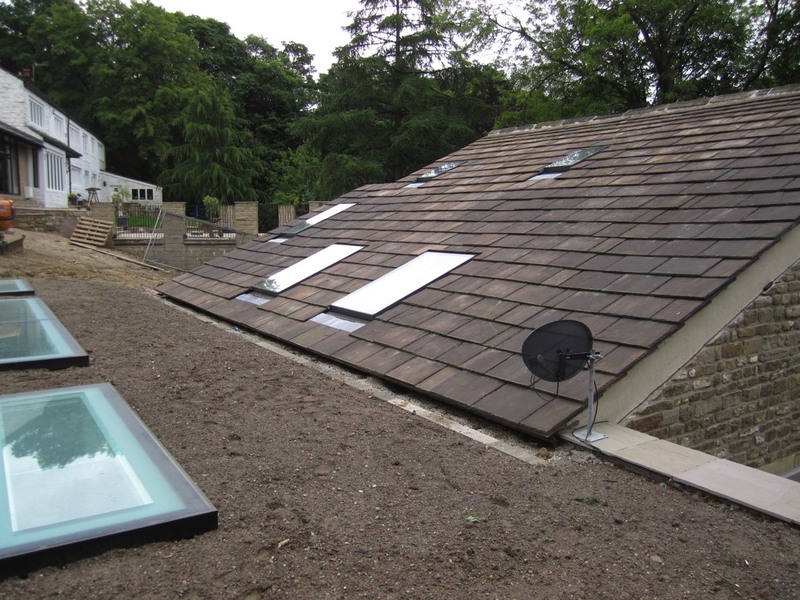 This resulted in a scheme wherein the four bedrooms were placed underground adjacent to the old coach house which has been converted into the home's main living space. The bedrooms are then divided from the main house with a long top lit gallery space with each room being top lit with oversized roof lights. 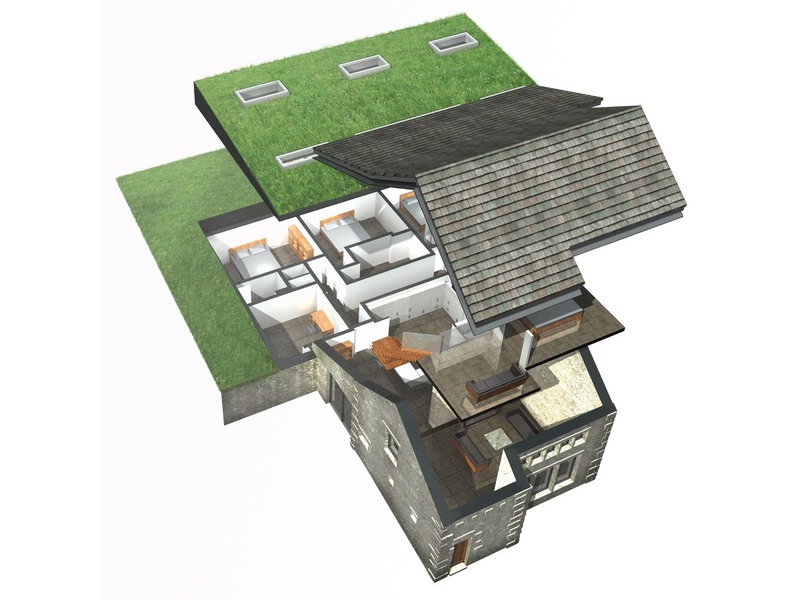 These are flush with the exterior ground level, allowing the garden space to function as part of the home design.